Mick Jagger’s Coming to America for Surgery? RUSH: The Rolling Stones had to cancel their tour starting later this month. Mick Jagger needs heart valve replacement surgery. He’s gonna get it done in New York this week. He was in Miami for the weekend. Why not Britain? He’s from the U.K. Why isn’t he getting heart valve replacement surgery in the U.K. with the national health system? Well, I’m just wondering. RUSH: Mick Jagger was yesterday down in Miami getting ready for heart valve surgery this week in New York. Seventy-five years old. 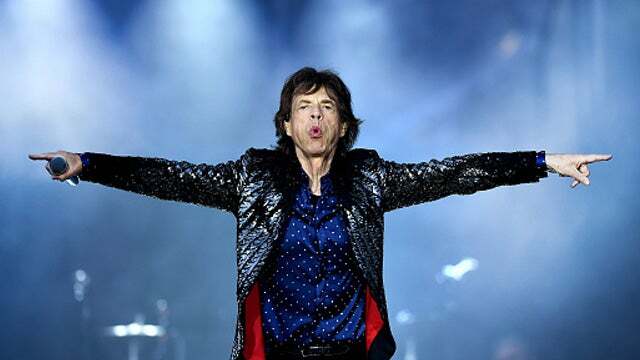 Jagger was gonna go on tour with the Stones middle to later part of April and it was announced over the weekend that he had to cancel it because of a medical emergency, but nobody knew what it was. Matt Drudge ferreted the details out, put ’em on the Drudge Report today. Jagger needs heart valve replacement surgery, 75 years old, said to be in perfect physical condition. So everybody’s expecting a full-fledged recovery on this. The Stones tour has been put back I think ’til summer, they say, when Jagger will be fit for the rigors and the grind. He’s on family vacation, spring break.